A few weeks ago, I spent a sunrise at Samuell Farm with my cousin Preston and his beautiful girlfriend Alaura to capture her sweet baby bump. They are expecting a little girl in October! They drove down for the weekend from Oklahoma to enjoy time with family for Alaura's baby shower, and me getting to do pics for them while they were here was an honor. We had a teeny bit of sun peeking thru at the beginning of the session, then dramatic skies rolled in (my favorite). Alaura looked stunning in her ruby red dress, red lips, red hair and that gorgeous all over baby glow. I love the love Preston has for her & his baby girl. He is going to be the best daddy. We can't wait to meet you, Lillian Gene! P.S. Lillian is my grandmother's name. She is the most amazing, kind, loving, generous, & beautiful woman I know. Her heart is pure gold. And my heart could just explode at the thought of a new little Lillian running around. I just know her heart will be the same. Filled with love, love, LOVE. 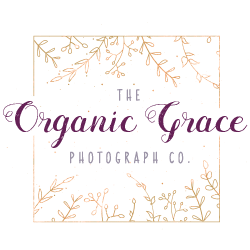 © 2019 The Organic Grace Photograph Co.